For early lambing flocks, high growth rates are critical with lambs often weaned at 4 to 6 weeks old. Concentrates are good sources of energy and are highly palatable for young lambs. 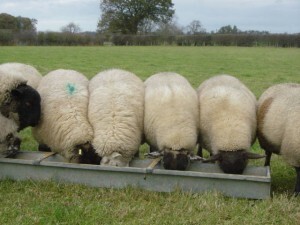 Alternatively, silage-based diets with appropriate supplements may be used to produce more modest growth rates, allowing lambs to be taken to heavier weights. Forage crops such as stubble & main crop turnips can be a relatively cheap option, with high yield potential and a fast growth rate (12 weeks). However, yields can be unpredictable and usage is dependent on weather.